Hi all. Its Christmas card making season so I thought I’d share a little tutorial on how to combine digital cutting files with digital scrapbooking supplies to make layered greeting cards. Its a bit long, but almost all pictures. I used the Holiday Home Digital Kit and the Scalloped Circle Card Cutting Files for this project. First, I opened the cutting file for the card I wanted to make in my Silhouette Studio software. I selected all the lines, went to the line style window and set the line thickness to zero. This makes sure the lines to not show up on my finished print and cut. I want to fill the cutting file shapes with patterned papers from the Holiday Home Digital Kit. To do this, I simply add the papers to the pattern library in the Silhouette software. Open the library (book icon), click my patterns. ( You can add a sub-folder to help with organization.) Then just drag the papers you want into the library. Close the library and click on the pattern icon. Scroll down and you will find the papers you just added. To add the papers, just select a shape and click on the paper you want. You can scale the pattern larger or smaller using the scale tool (patterns often come in very small). You can also use the pan tool if you want to move the pattern around inside the shape. Then you need to set the cut lines – just choose the cutting window, select all the things you want to cut and click “cut”. You can also choose the material type here. I print my stuff on matte presentation paper and I use the standard patterned paper settings. Sometimes if you have a detailed cut, the cut and the pattern fill will not match up exactly so when you cut you get tiny white edges or corners. This scalloped circle would probably be fine, but just in case I’m going to use the expanded fill trick. Choose the shape and go to the off-set path window. Choose offset and set a small distance (I usually use 0.05 inches). Hit apply. The offset will be selected – keep it selected. Go to the pattern window and click the paper to fill the expanded shape with the paper pattern. Keep the shape selected. Go to the cut window and choose no cut. Now the expanded pattern fill will print, but the cut will be to original cut line. This will give you a little patterned filled edge so if the cut line is off, it will not have any white edges. Group the cut line and the offset shape together so when you move them they stay together. Just select the shape and cut line and hit CNTR-G.
Now you can add any decorative pieces from the kit that you would like. In this case I chose a flower cluster and a label. I just opened them in the studio software, copied them and pasted them in my document. You can resize them to better fit your card if necessary. Create cut lines for these elements. 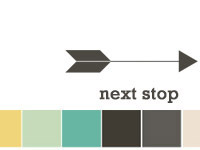 Open the trace window, choose select trace area and trace over the decorative element. Uncheck the high pass filter and slide the threshold right until you get an nice solid yellow fill. Then choose trace outer edge. This is a detailed cut, and you could expand the fill area like we did for the scalloped circle, but since the edge of the element is pretty much white already – I’m not going to worry about it. Any missed edges would never show. Go ahead and trace the label too. Keep in mind that the new cut line and the element image are 2 different pieces (see below). If you try to move it they will separate – so I always group them together after I make them. Check the cut and print borders and scoot the pieces around to stay inside the borders. Then just send it to print. I print on matte presentation paper that I just buy at the office supply store. Make sure you adjust your printer settings to tell the printer the type of paper you are using – it makes a huge difference in print quality. Cut it in your Silhouette – and you have all your card pieces. All you need is a cardstock base to glue them on. I like to pop up a few pieces of my card with foam tape and the rest I just glue in place. Its also fun to add embellishments like ribbons or gems or glitter. Save this file as a .studio and you can make this card again any time just by printing can cutting. Here are a couple other cards I made using the Holiday Home kit. This one uses the Card Creations Volume 2 Cutting files. And for this one I used the Winning Ribbons Card Templates with Cutting Files. I love making crafts with my digital supplies! I hope you found this tutorial helpful. Edited to add: If you would like to use my Merry Christmas label, you can grab the PNG here. This entry was posted in Cutting Files, Digital Craft Kits on November 19, 2015 by Cathy. 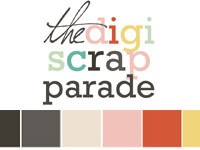 Welcome to the November edition of the Digiscrap Parade. The theme was “to Gather” and I guess I must have been thinking about sitting down to a nice cup of tea with family and friends when I designed my mini digital scrapbooking kit. Tea is good right? Anyway – here is my contribution. You can download it here (or click the picture). If you’re following the Parade route from start to finish, you should have come from JoCee Designs and you are going to Alexis Design Studio site or Facebook Page next. If you get lost along the way, simply head back to the main DigiScrap Parade site to view the master list and get back on track. This entry was posted in Digital Craft Kits, Freebies on October 30, 2015 by Cathy. 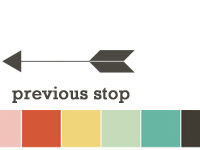 Because of a host of family issues, I have not been ably to do any designing for almost a year! It feels really good to get back into it. This new digital scrapbooking kit is full of traditional autumn things (leaves and acorns and such) but with (hopefully) a more modern twist – sketchy drawings, lots of embedded patterns and bright colors. The CT is so talented! And of course I made a free coordinating mini-kit for you. You can download it here. This entry was posted in Digital Craft Kits, Freebies on October 21, 2015 by Cathy. Since I had the Boo To You kit out already to put it in the sale, I made up a little printable PDF Halloween decoration for you. Its 8″ x 8″ so it will print on letter sized paper. I like to print on presentation paper (or photo paper) to keep the colors bright. You can download the PDF file here. Hope everyone has some fun Halloween plans. My middle school twins are planning a party after trick or treating. All those girls on a sugar high – I think its going to get mighty loud over here! This entry was posted in Digital Craft Kits, Freebies on October 19, 2015 by Cathy. Happy fall everyone. We are having some fabulous fall color this year – I’m so enjoying it. I’m very excited to be back to designing and have been inspired to create a couple fall themed kits. Here is Autumn Doodles. It came out last week. Didn’t the Creative Team to some amazing pages? Such a talented group of ladies. I also have a free frame cluster for you. It combines elements from both these kits and from the free mini-kit I sent in the newsletter last week. You can download the free cluster here. One last thing – if you have not signed up for the newsletter, you might be missing out on other great freebies. You can sign up here. This entry was posted in Digital Craft Kits, Freebies on November 7, 2014 by Cathy.